The genetic diversity of ten microsatellite loci is examined in samples of Arctic rainbow smelt. The expected heterozygosity estimates vary in the range of 12.6–83.9% (mean 55.3%). The degree of genetic differentiation is statistically significant: θ = 2.8%, 95% CI (1.4–4.9%). The greatest differences are found between datasets of smelt in Eastern and Western Kamchatka. The samples from Lake Nerpich’e demonstrate the maximum estimates of divergence from the other datasets from both the western and eastern coasts. 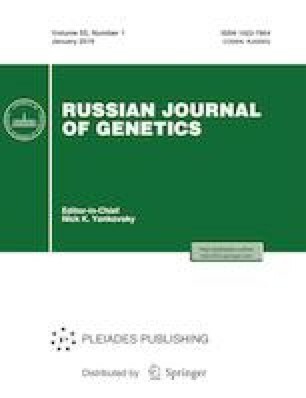 Kovpak, N.E., Skurikhina, L.A., Kukhlevsky, A.D., et al., Genetic divergence and relationships among smelts of the genus Osmerus from the Russian waters, Russ. J. Genet., 2011, vol. 47, no. 8, pp. 958–972. https://doi.org/10.1134/S1022795411080102.